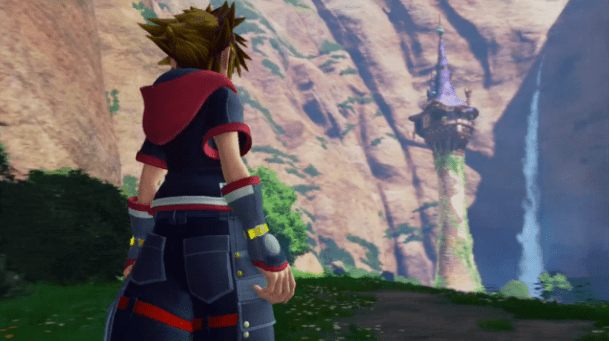 While Square threatened to disappoint Kingdom Hearts fans with Unchained for mobile platforms, they followed up with real news on the long-awaited Kingdom Hearts III, and the trailer looks amazing. Like Kingdom Hearts II, it features a Sora that’s grown up considerably and gained some brand-new powers since the last major installment. The trailer put a lot of focus on seeing him traverse terrain that looks a lot nicer than before, including running straight up a wall to confront a titanic enemy at the top. The other major showcase is a bit of shooting that Sora can do. We see him split his Keyblade into two pistols, fire at some enemies, then combine them back into a huge cannon. There are a couple of different designs for this showcased, and it looks like you do some basic aiming with a lot of leeway, sort of in the vein of Kid Icarus: Uprising. Are you guys as excited for a new full chapter in the Kingdom Hearts saga as I am?